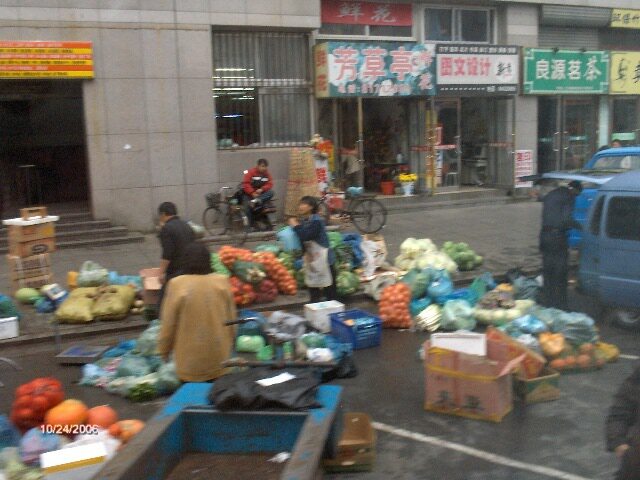 My last blog was about our visit to a Chinese family's home in Dalian. 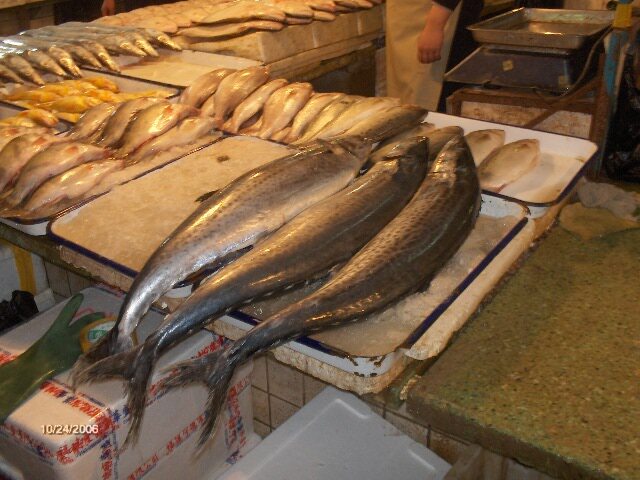 I'd like to make this blog about the same shore excursion to Dalian China, but this time it will be about our visit to the Fish Market. 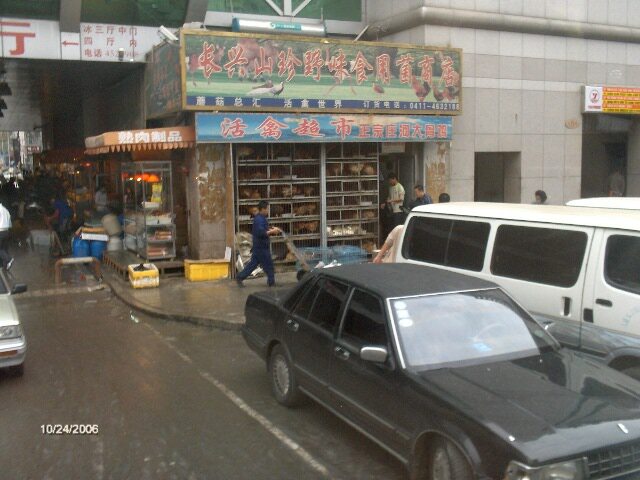 This scene is just outside the fish market, which is inside the building. A little farmers market I guess. 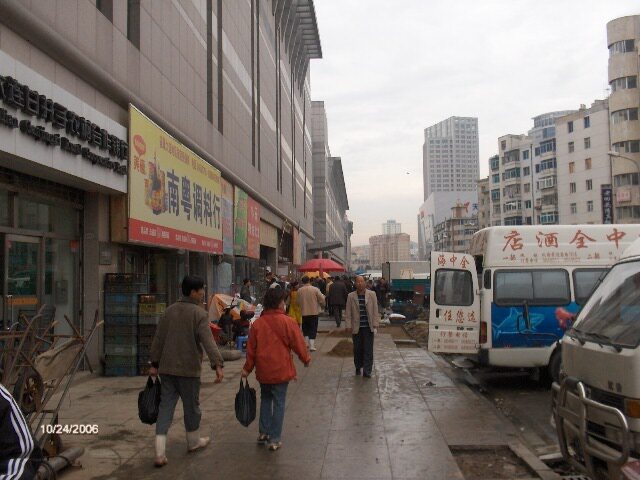 Thats the entrance to the Dalian Fish Market on the left. 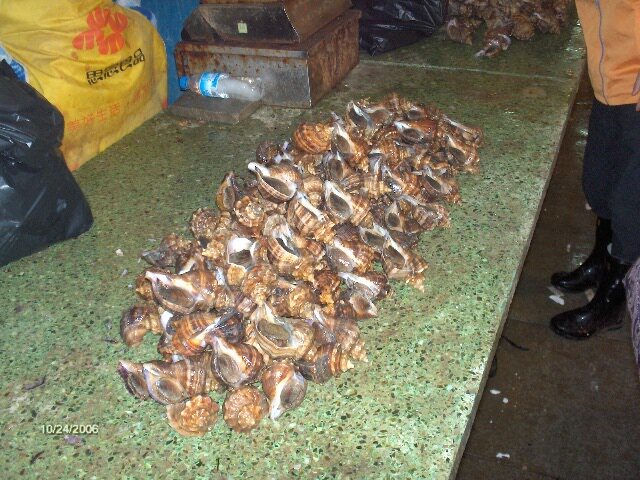 I don't know what these were... they kinda look like conch shells.. or Abalone maybe? Looks like baracuda on the left... and those yellow things way over on the far left are called "sea cucumbers" and seem to be quite popular in restarurants. 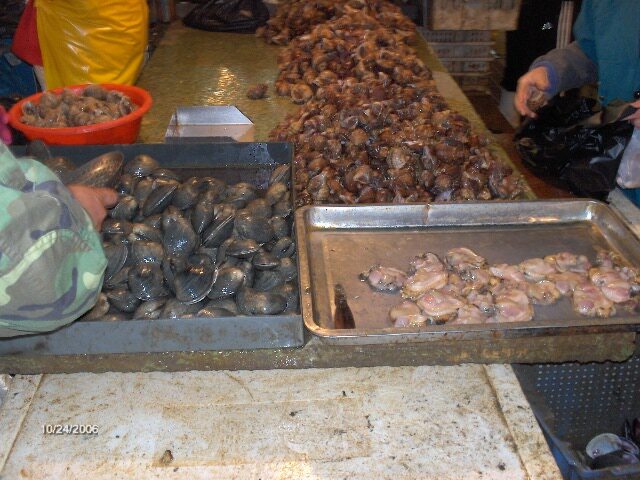 Just imagine how good this fish market smells... Question: How long can one hold his breath? Ahhhh... back outside and fresh Air! 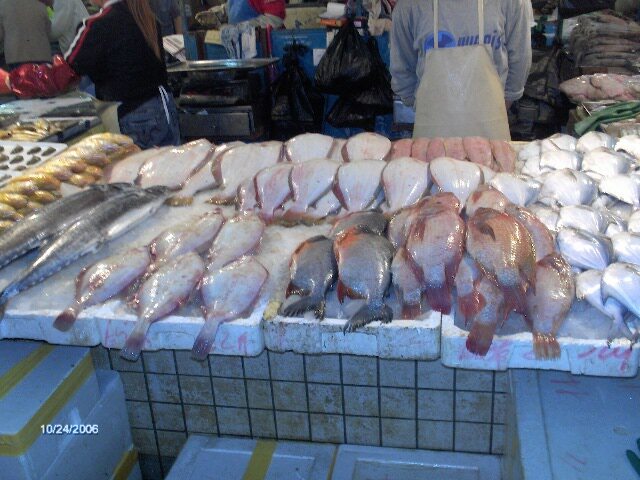 Well, I wasn't really impressed with the fish market. 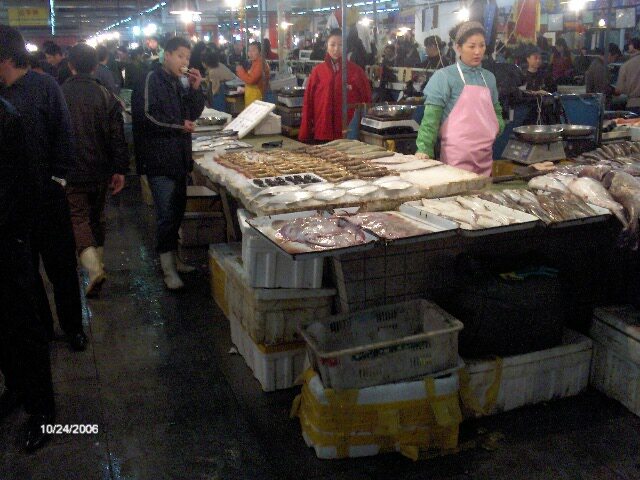 It smelled terrible and stacks of raw fish of every variety just does not interest me. You win some and you loose some. 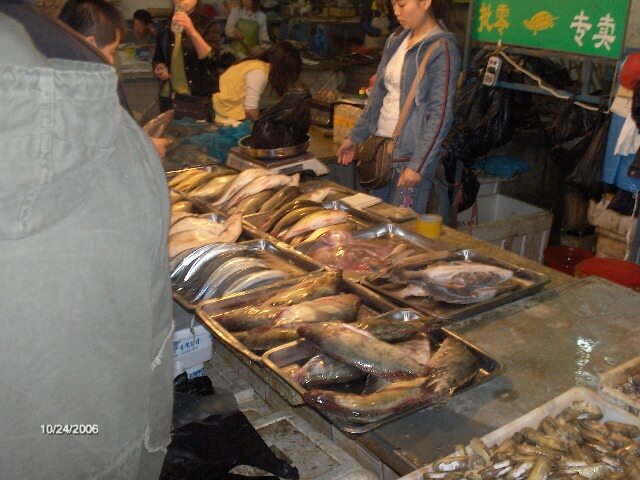 Fortunately the fish market was only a small part of our Dalian experience. Yet to come... our visit to a really neat elementary school with it's own zoo.